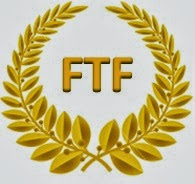 Every geocacher knows that FTF is a great honour. Surprising place, brand new cache box, empty log book, pencil that is just sharpened and even some gifts - all this makes this moment so special. PLEASE TREAT THE CACHE GENTLY AND CLOSE IT PROPERLY.